I love summer. But perhaps not for the reasons you think. Holidays are great but what I love most about this time of year is that everybody else takes them. Leaving me, like most freelancers, with a bit of a lull. It’s tempting to just play hooky but who has time? When things get quiet at work, it’s the perfect opportunity to give yourself some creative development time. I call this ‘hitting reset’. Because after several months of routine, you may have lost sight of those goals you set yourself at the beginning of the year. You may need to re-evaluate if what you’re doing is working. Or you may just be in a rut. Imagine you’re an artist at work. You need to get close to work on the details, but equally important is to step back from time to time in order to see the big picture. It’s the same with work, whether it’s a particular project or an ongoing commitment. Step away from whatever you are doing for a few days or even just a few hours, then come back and look at it with fresh eyes. Is it working? Are you achieving what you set out to do? Or is it time to rethink? The perspective you gain will be invaluable. We all have room to improve. Whether it’s a lifestyle change like adding exercise or meditation to your morning, or a work-related habit like scheduling time each week for career advancement. According to Aristotle: “We are what we repeatedly do. Excellence, then, is not an act, but a habit.” How long it takes to make or break a habit is the subject of some debate, ranging from as little as 21 days to the better part of a year depending on the complexity of the task. (Check out this post on the topic). Personally, I have set myself the challenge of spending 10 minutes at the start of each work day to sort through my inbox and set priorities. It’s a small thing, but I believe that by making a habit of being mindful before I start work, I will gain hugely in efficiency. Take the time to master a new piece of software, application or tool and see how many doors it will open. As a writer, the computer keyboard is all the tool I need. But I love visual media and have long wanted to learn to create video content. My goal for this summer is to master a couple of new digital tools: iMovie and Quik. I signed up for a one-day video basics workshop in June and got a load of ideas and inspirations for ways to use video professionally and for fun. It has given me a new way of looking at photography, too. Learning to make the most of the information and opportunities available online is a job in itself. Why not take advantage of the quieter summer period to spend time on your social media skills? Are they working for you, either personally or professionally? Imitation is the finest form of flattery: what are your competitors or friends doing that inspires you? Personally, I am new to Instagram and have set myself a 30-day challenge to get to know the app. Each platform – LinkedIn, Facebook, Twitter, etc – is different, and I set great store in understanding the etiquette of using each. (Did you know there’s a recommended time of day to post for each platform? Check this out this infographic. At the end of any experiment, it’s essential to evaluate. How did you do? What did you learn? Most importantly, was it worth it? It is energizing to shake up our habits, learn something new and reach out to others. 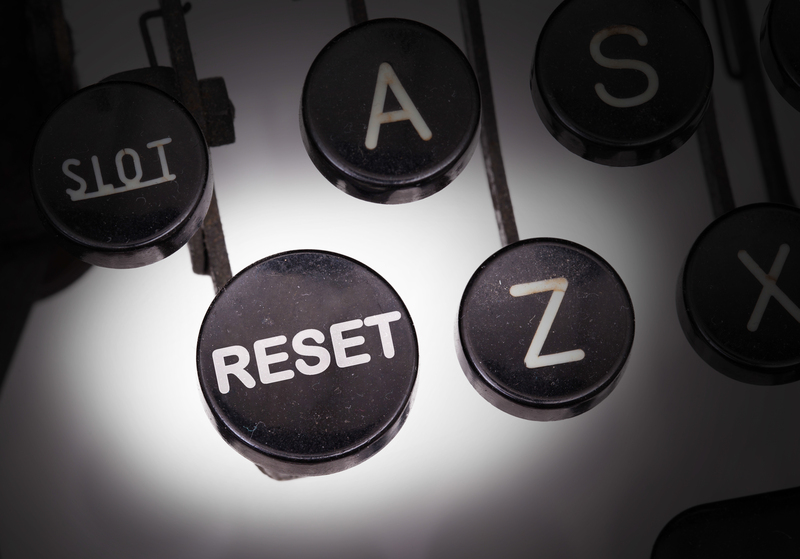 There’s no time like the present to hit reset – then rinse and repeat. Need help with a creative challenge? I’d love to hear from you.